A cross-party group of MPs will call today for a review of the way arms sales are approved after the government admitted British equipment was "almost certainly" used in the assault on Gaza last year. "It is regrettable that arms exports to Israel were almost certainly used in Operation Cast Lead [the attack on Gaza]," the Commons committee on strategic export controls says in a report published. "This is in direct contravention to the UK government's policy that UK arms exports to Israel should not be used in the occupied territories." The MPs say they welcome the government's subsequent decision to revoke five export licences for equipment destined for the Israeli navy but "broader lessons" must be learned from a review to ensure British arms exports to Israel are not used in the occupied territories in future. After the attack on Gaza, David Miliband, the foreign secretary, told the Commons that all future applications for arms-related exports to Israel "will be assessed taking into account the recent conflict". He said Israeli equipment used in the attack on Gaza "almost certainly" contained British-supplied components included in cockpit displays in US F-16 combat aircraft sold to Israel, and components for the fire control and radar systems, navigation equipment and engine assemblies for US Apache helicopters. The equipment also included armoured personnel carriers adapted from Centurion tanks sold to Israel in the late 1950s and components for the guns and radar in Israeli Sa'ar-class corvettes which took part in the operation. It is regrettable that arms exports to Israel were almost certainly used in Operation Cast Lead [the attack on Gaza]. This is in direct contravention to the UK government's policy that UK arms exports to Israel should not be used in the occupied territories. Miliband said the government was looking into all existing licences to see whether any of them needed to be reconsidered. He added that he believed British export controls were amongst the strongest and most effective in the world. Government-approved arms exports to Israel were worth more than £27.5m in 2008, according to the the report. Government departments approved nearly £4m worth of export licences for weapons and equipment with dual military and civil uses in the nine months after the Gaza attack, according to official statistics. Though this suggests a significant drop, the figures show Britain was continuing to sell Israel a wide range of military equipment, including small-arms ammunition and parts for sniper rifles. Most of the equipment was components for large items, including parts for ground-based radar, military aircraft engines, military aircraft navigation equipment, military communications and unmanned drones. Among approved exports were remote ground-sensor systems, electronic warfare equipment "components for sniper rifles", "small arms ammunition" and "test equipment for recognition/identification equipment". Government-approved arms exports to Israel were worth more than £27.5m in 2008. The report also reveals that the government decided to revoke a number of licences for arms sales to Sri Lanka. It says it regrets British arms were sold to Sri Lanka during ceasefire periods in the conflict with Tamil Tiger rebels. Amnesty International called on the government to act swiftly to close loopholes allowing "brass-plate" companies registered in the UK to trade arms to countries where human rights violations were committed. It backed the committee's call for a robust international arms trade treaty. Amnesty International's arms programme director, Oliver Sprague, said: "World leaders and campaigners have worked far too hard on the treaty for it to become a worthless piece of paper that will do little to protect people from armed violence." Britain has revoked export licences for weapons on Israeli navy missile boats because of their use during the offensive against the Gaza Strip. Israel gets the bulk of its military requirements from the US, more than 95% according to some estimates. The UK accounts for less than 1% or about £30m worth of exports a year. The licences apparently covered spare parts for guns on the Sa'ar 4.5 ships, which reportedly fired missiles and artillery shells into the Palestinian coastal territory during the three-week war, which started in late December. Israel's foreign minister, Avigdor Lieberman, shrugged off what he called one of "many embargoes". The foreign office in London insisted the rare move did not constitute an embargo but was the application of normal UK and EU export licensing criteria. Still, it linked the decision directly to Operation Cast Lead – the Israeli codename for the attacks – and described it as similar to action taken against Russia and Georgia after their conflict last year. A spokesman for Amnesty International, citing the "weight of evidence" that Israel had committed war crimes in Gaza, said: "It's a step forward but it doesn't go nearly far enough." Israel's defence ministry made no comment but Lieberman told state radio: "We've had many embargoes in the past. This shouldn't bother us." in supplying engines for Hermes drone aircraft. The decision came after a review of UK defence exports to Israel announced in April by David Miliband, the foreign secretary. Israel's London embassy ascribed the revocation of the licences to pressure from MPs and human rights organisations, the Ha'aretz newspaper reported. Israeli officials confirmed the UK had reviewed 182 export licences, including 35 for exports to the navy. It decided to cancel five, all relating to spare parts for Sa'ar weapons. The arms involved include anti-ship and surface-to-air missiles, cannons and heavy machine guns. Israel launched its Gaza attack after the expiry of a ceasefire put in place to halt the firing of missiles into Israel, and as part of a strategy to weaken the Islamist movement Hamas. More than 1,400 Palestinians and 13 Israelis were killed. Ha'aretz said the British decision was not expected to have any impact on the navy's operational capability. But it added: "It has great political significance and could encourage other countries to halt defence exports to Israel. 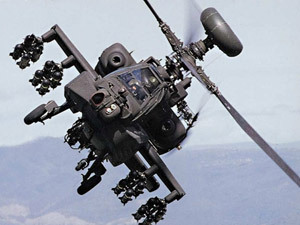 The country considered most likely to be next is Belgium, which sells Israel equipment used to disperse demonstrations." 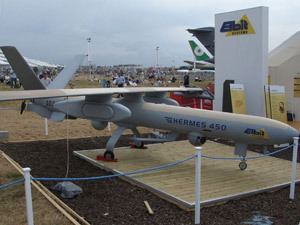 Amnesty had previously highlighted Britain's role in supplying engines for Hermes drone aircraft. In another report this month, it detailed how Israeli forces killed hundreds of unarmed Palestinian civilians and destroyed thousands of homes in attacks that breached the laws of war. 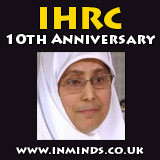 "Amnesty has uncovered evidence of war crimes committed by both sides in the conflict," it said. "We are calling on all countries to suspend all transfers of military equipment, assistance and munitions, to Israel, Hamas and other Palestinian armed groups until there is no longer a substantial risk that it will be used for serious violations of human rights. "We will also be monitoring closely to ensure that the UK does not renege on its promises. In the past we have seen a tightening of restrictions against Israel in the wake of a major offensive, only for them to be loosened again once the issue falls out of the public eye."